Inazo Nitobe (1900). 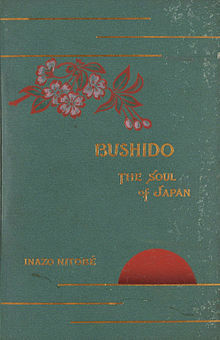 Bushido: the soul of Japan, an exposition of Japanese thought. Philadelphia: The Leeds and Biddle Company. ^ 長谷川 仁（1967）「明治以降物故昆虫学関係者経歴資料集 : 日本の昆虫学を育てた人々」『昆蟲』 35(3号補遺), 1-"98-4"